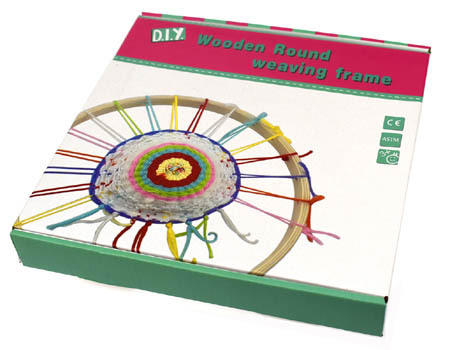 Round Wooden Weaving Frame is a lovely simple craft toy and a great introduction to a wonderful hobby. This set comes with 4 small balls of wool, 1 needle and a round wooden frame with 25 holes around is diameter. Once you have set up the frame you wind the wool in and out from the centre outwards. Change the colours of the wool to make pretty patterns. We like this because: "Really fun and quite easy to get reasonable results. A great way to learn to weave."